This was for a company at Auburn University, that sells art and wanted to sell its products online. While at my job at Jamersan a website development company in Opelika, AL I had a chance to collaborate with Alexis and Will to make this site. 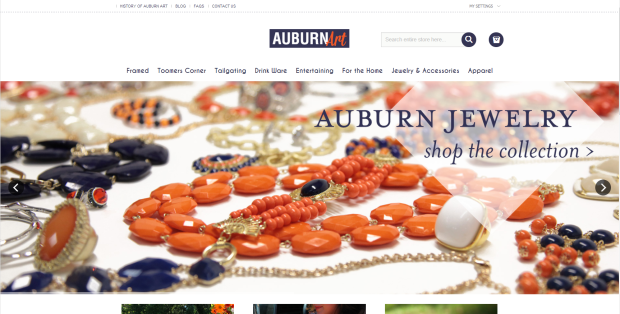 Auburn Art was a very complicated Magento site with many modules, and a lot of customization to the theme which was hard to do in Magento because of its file structure. I themed and styled almost every page on this website.